Great workshop lead by Gabi about working small, which I've never considered since I insist on including as many details as possible! 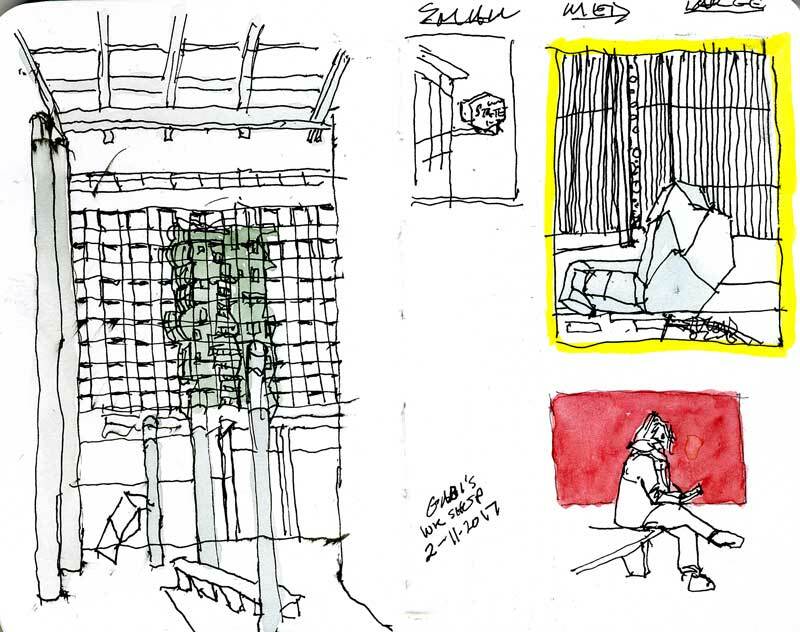 Great learning supported by a meaningful lecture with examples from a variety of small sketchbooks. 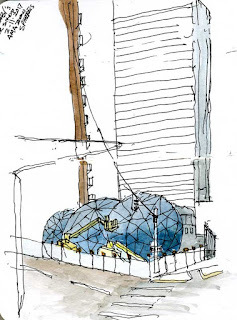 Despite the biting wind it was wonderful to be back with the sketching community and to try my hand at seeing and capturing sites in Seattle. It was a good challenge to work small and to use some watercolor. It was a fun introduction and encouraged me to do more. Excellent class exercises, Frank -- I can see you were paying attention! Great to see you there, too! I love your line, Frank. It's perceptive. 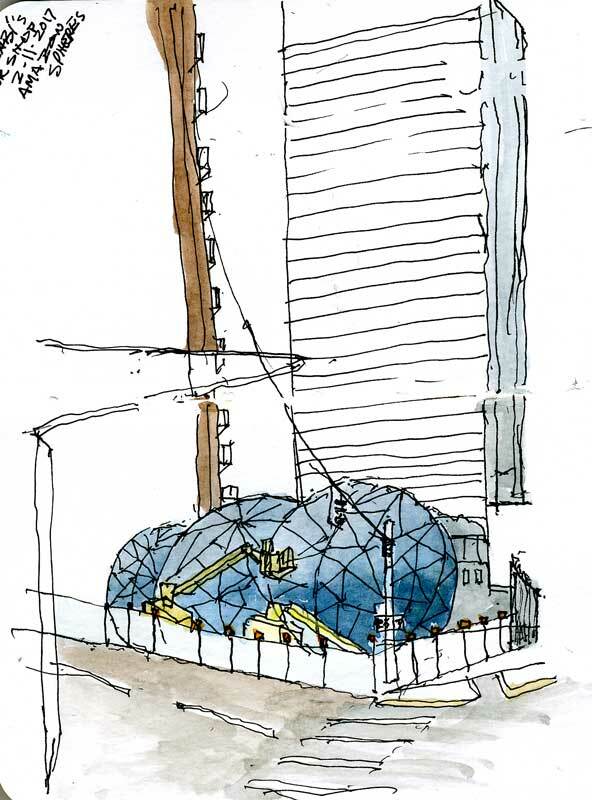 You really did a great job of scaling down on the Amazon spheres. I'm impressed. All done on a 3.5 x 5 in. right? Thanks for your comments. 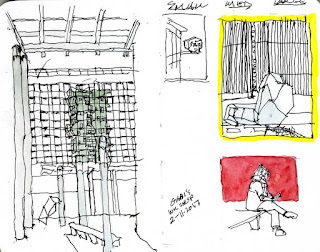 We were given a Uni-Ball Vision Micron and a Stillman & Birn 3.5 by 5.5 in. Premium Sketchbook, mine was the Mixed Media Extra Heavyweight smooth surface Zeta Series and I'm impressed with both the paper and the pen. Takes the waterproof ink easily and handles watercolor the same. I recommend you give it a try if you haven't.